Learning colorwork knitting doesn't have to be complicated! Our Colorwork Kit has all the tools you need to keep your charted motifs on track and yarn bobbins organized. 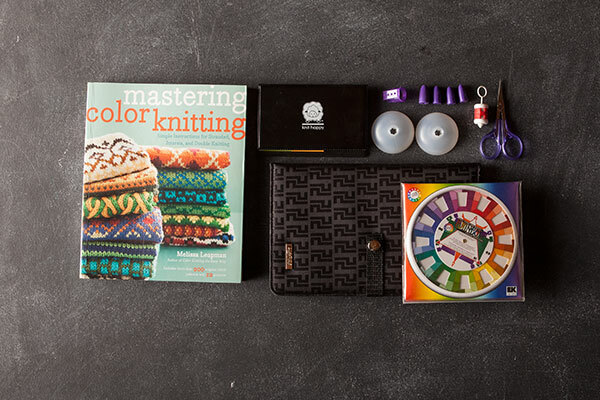 The book, Mastering Color Knitting, will serve as a guide as you learn the methods and nuances of this technique while our most-loved tools and notions will help bring your colorful vision to life. Mastering Color Knitting by Melissa Leapman.